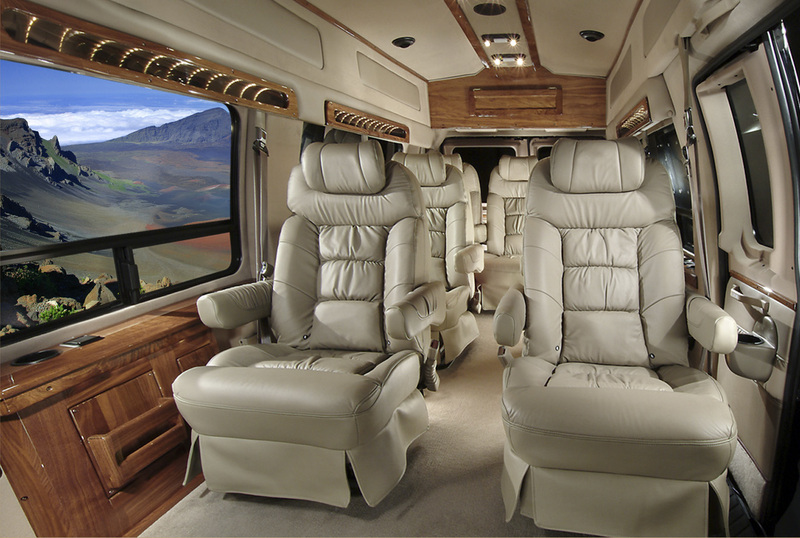 All of Temptation Tours’ excursions to Maui’s Upcountry locations – Haleakala Sunrise, Haleakala Crater/Rainforest, Summit Safari, Summit Lavender Sojourn and Lavender, Wine & Cheese Sensation – incorporate a stop at Maui Lavender’s beautiful organic gardens. 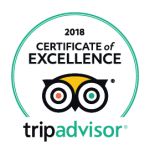 Many of the tours include a caterer-prepared luncheon at a delightful gazebo in the enchanting garden location on the slopes of Maui’s dominant volcano at about 4,000 ft. elevation. The views from the site are spectacular and the gardens a joy to behold. Maui Lavender is an organic agricultural endeavor with the goal of making the island more self-sufficient and compliment efforts on the island to grow more fruits and vegetables domestically. Lavender, though not a tropical plant, thrives on Maui’s upper volcanic slopes where the microclimate is more temperate and provides the ideal location for the growing of this drought resistant plant which usually thrives in colder regions. Very few locations within the Hawaiian Islands are capable of supporting lavender in this respect. With the island of Maui’s growing popularity, being voted best island for several years in a row, visitors to the area is increasing each year. The purchase of gift items for friends and family as well as remembrances of their trip are a key component for those travelers preferring items that are made in the island versus imported. 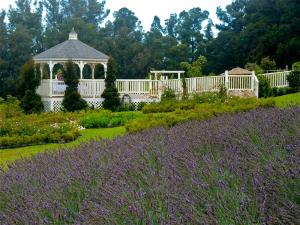 The Maui Lavender walking garden and Made In Maui product line represents an excellent opportunity to visit and enjoy an agricultural feature that strengthens and enhances the island experience for the visitor. In the Hawaiian language, Haleakala means “House of the Sun” and it was here that Mowee, a super-hero of Polynesian mythology and namesake of Maui Island, leapt from hiding and lassoed the sun with a strong rope. He subdued the sun from racing too quickly across the sky each day and not providing the people enough light. The demi-god, Maui, demanded the sun to crawl slowly across the sky and provide the people more daylight to grow food, fish, and dry their banana’s and kapa cloth and other activities. With its role in Hawaiian mythology, it seems only fitting that the sun would be the initial target of the first observatory built on Haleakala. It all began in the Spring of 1951 when Grote Reber, a pioneer in the exploration of radio waves from space, came to Hawai’i. Based largely on his report of the viability of Haleakala as an observatory site, the University of Hawai’i built and dedicated on January 24, 1964, an observatory at the site that would help scientists lasso the secrets of the star that powers our solar system, our sun. The Mees Solar Observatory is named for Dr. C. E. Kenneth Mees, a pioneer in the development of photographic emulsions for astronomy. Mees was a vice-president of Eastman Kodak, a financial benefactor and early supporter of the University of Hawaii’s acquisition of the Haleakala High Altitude Observatory (HHAO). Since the first dome and telescope were built atop Haleakala in the early 1960s, dozens of new instruments have been added to the Science City site, each with greater sophistication, and new purpose to pursue in man’s quest to understand all that can be revealed in the heavens. Just as the earliest Hawaiians looked to the sky for guidance in navigating, planting, worshiping and most of their daily activities, we now look to the skies to give us greater understanding of the cosmos that surrounds us. Maui’s Haleakala and Science City will remain at the forefront of this quest for years to come. Maui’s Haleakala volcano is host to some of the most advanced astrophysical research in the world. Cutting edge projects have included a significant role in the immensely successful Hubble Space Telescope (HST) as it orbits the earth taking magnificent photos and measurements of the Universe far beyond the capabilities of ground-based telescopes. The Hubble was launched in 1990, and remains in orbit and service to science today. Named after Edwin P. Hubble, the scientist whose tireless efforts atop California’s Mount Wilson popularized the concept of an expanding universe stretching billions of light-years in every direction, the HST rode into orbit aboard the Space Shuttle Discovery. Since then the orbiting telescope has revolutionized much of what astronomers know about the Universe; it has become a household name in the process. Hubble’s photographic Hall of Fame includes the deepest view ever of the universe in visible light; a peek into the environs of super massive galactic black holes; the majestic birth of stars in monstrous stellar clouds; planetary systems forming around other stars; extraordinary arcs, shells, and ribbons of glowing gas sculpted by the deaths of ordinary stars; mega-megaton blasts produced by the impact of a comet into the cloud tops of Jupiter; the surface of mysterious Pluto; and galaxies at the edge of space and time. Hubble was conceived to tackle scientific goals that could be accomplished only by an observatory in space. With updates being done by space shuttle crews its mission is to spend many more years probing the farthest and faintest reaches of the cosmos. At 10,023 feet above sea level, the summit of Haleakala rises above one third of the earth’s atmosphere. 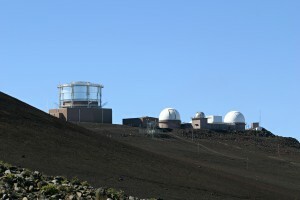 Additionally, because of its isolation in the middle of the Pacific Ocean – far from encroaching city lights and electronic interference – its “seeing” conditions can be as good as on the Big Island’s Mauna Kea that, according to astronomers, has the world’s best astronomical viewing conditions for ground-based observatories. Haleakala’s position near the Equator, about 21 degrees north latitude, also gives Science City’s eyes and ears venues of the sky above the Earth not enjoyed by observatories farther from the waist of the globe. On top of the World – 10,023 feet Above the Pacific Ocean! 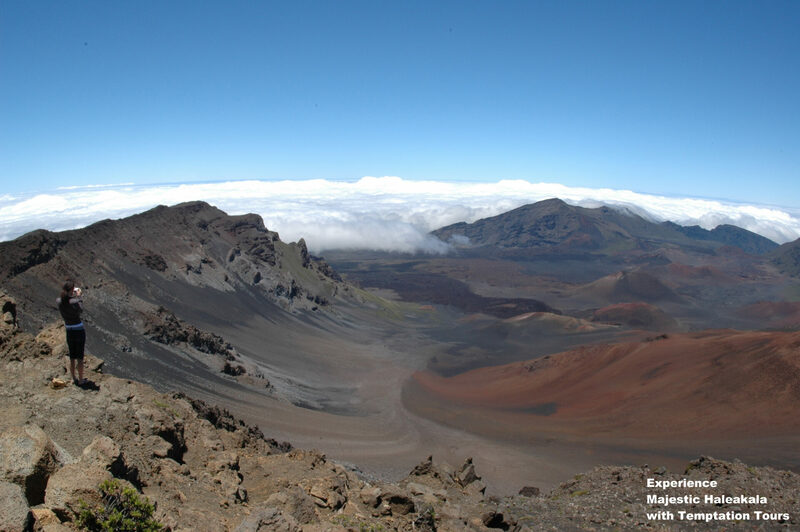 High atop Maui’s Haleakala, the dormant volcano that dominates the island’s landscape, “Science City” sits on a pinnacle of lava, cinders and ash formed from countless ancient volcanic eruptions. Its domes glisten in the brilliant afternoon sun above the mountain’s almost-daily flaring skirt of clouds clinging closely to its slopes like a ballerina’s tutu. From the mountain’s lofty perch Maui’s fertile Central Valley below and the West Maui Mountains, also called Kahalewai, in the distance appear as a breathtaking three-dimensional patchwork of sugar cane fields and desert while the surrounding blue Pacific, relentlessly whipped by the nearly constant trade winds, reaches in every direction to the distant horizons. But, it is what’s above Haleakala that matters most to Science City, it’s unofficial but popular name, and to the scientists, technicians, and military personnel who use the site for observing, exploring, probing, and monitoring our planet’s sun, solar system, galaxy, and, indeed, the entire universe. 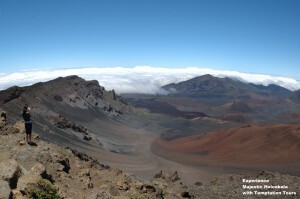 Officially, Science City is known as the Haleakala High Altitude Observatory. With an impressive collection of optical, radio, radar, and infrared telescopes, listening dishes, and sensing instruments, the varied observatories scan the limitless sky above on a 24/7 basis. Simultaneously they perform such diverse missions as exploring the heavens, monitoring natural and manmade space activities, tracking the growing amount of space junk, and defending the nation from missile attacks. 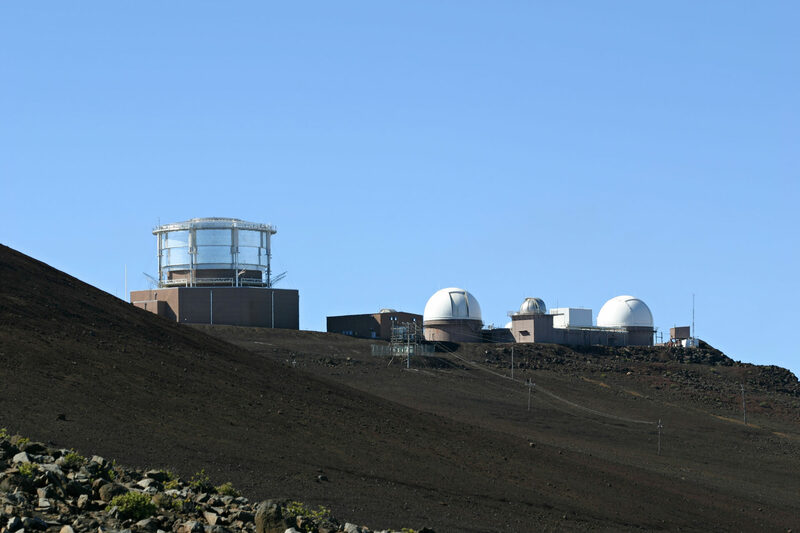 The array of observatories at the summit site includes both science and military projects, managed by an alphabet soup of civilian, governmental and military agencies. They are supported by labs and computing facilities far below at the Advance Technology Center in Pukalani and Kihei’s Maui High Performance Computing Center (MHPCC). 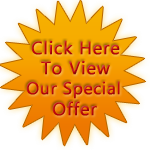 Temptation Tours excursions get you as close to “Science City” as mere mortals are allowed. 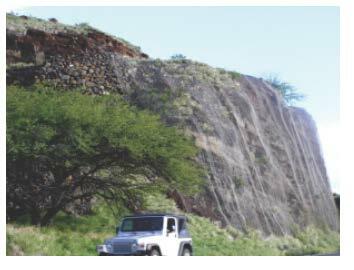 Lava rocks littering the Honoapi’ilani Highway across Maui’s westside pali (sea cliffs) are proof that two-million year old lava flows on Maui’s extinct volcano are still on the move! They are sliding toward the sea today just as they did in past millennia, but today they are being slowly pulled down the volcanic slopes by gravity rather than being pushed down the by torrents of molten lava oozing from caldera or vents on the slopes high above. Evidence of this continuing movement along the journey to Maui’s popular Westside region is best seen along highway #30 from Ma’alaea, Lahaina, Ka’anapali and the popular “westside” where the slashed faces of the towering sea cliffs stand high above the road and sea. Just beyond Ma’alaea Bay at McGregor Point the Honoapi’ilani Highway, dubbed the Sunset-Skyline Highway after it replaced the old but still-visible roadway in 1951, the modern roadway begins to wind its way upward along the Kealalouloa Ridge cliffs. It steadily presses higher and higher to cross the steep seaward cliffs of the ridge, ducking through one stone-sided gash in the mountainside after another. Today, many lava faces beside the roadway are covered with a steel wire mesh designed to hold back the moving lava that now falls in pieces from the leading edge of the once dynamic flows. Freed by time, rain, and wind, these fragments are pulled toward the sea from the lava faces that hang precariously above the roadway. The highway across and through the Pali clearly reminds us of the remarkable power of volcanism, erosion, and the continual pull of gravity that provide the energy to return Hawaiian volcanoes to their birthplace in the sea; first as increasingly shrinking mountains, then near-surface atolls, then coral reefs, and finally, when fully drowned, to subsea mountains and plateaus known as seamounts. All Hawaii’s volcanoes, including Maui’s Kahalewai and Haleakala, despite how high and mighty they are now, will follow this overall pattern of eruptive growth and final decline. It is the fate that awaits them all. Netting holding back the lava rock on Maui’s Honoapi’ilani Highway, (Route 30). 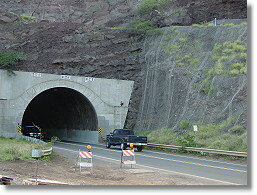 Maui’s only tunnel and netting holding back the lava rock on Honoapi’ilani Highway, Route 30.